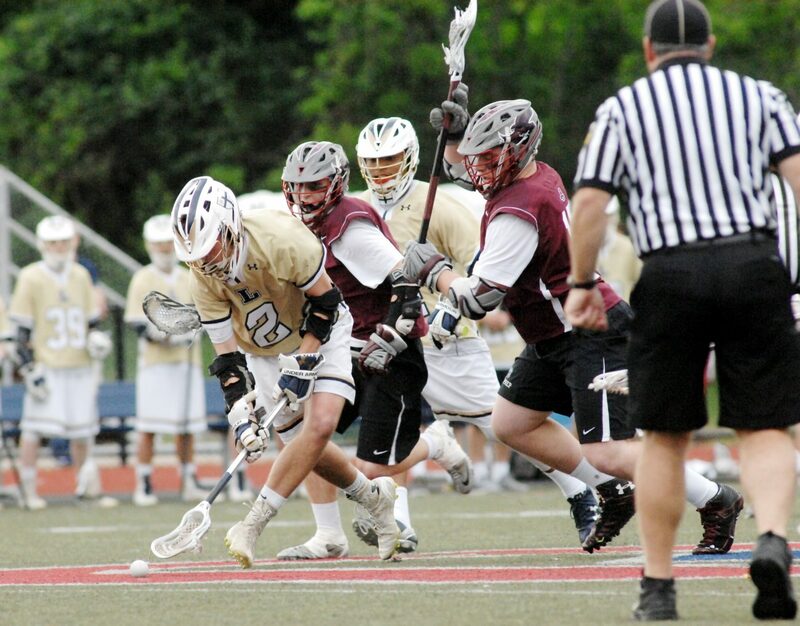 La Salle College High School’s lacrosse team has claimed another Philadelphia Catholic League title with a 9-5 victory over the 2015 champion St. Joseph’s Prep Hawks Tuesday evening, May 24, at Cardinal O’Hara High School. While the game was delayed one day due to severe weather Monday, the teams were finally able to play and La Salle took back the league trophy. Following on their overall 17-3 campaign, this season marked La Salle’s 20th Catholic League title in the 25 years since the program began. The Explorers understood the challenge of taking on the defending champion going into the game, but their good transition and team defense paved the way to victory. An early lead as well as a strong finish proved crucial for the Explorers. Clibanoff scored first off an assist by attack and midfielder Brett Baskin. Midfielder Cody Mazurek added to the lead with an unassisted goal but it took some time before the Explorers managed to get back on the board. The Prep tied it up early in the second quarter as Pete Gayhardt was first to put his team on the scoreboard. Thirty-eight seconds later the game was tied as Kevin Stump found the net and Zachary Snider provided an assist. The 2-2 score did not last. La Salle used its first time out with 8:03 remaining in the opening half and attack Chris Hladczuk, Clibanoff and Mazurek combined for a 3-0 sprint. 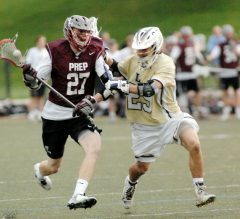 Griffin Fleming scored for the Prep before the conclusion of the half. Stump registered a goal during the third quarter and the Explorers were unable to score during this period setting up a tight game going into the fourth stanza. That all changed as Mazurek completed his hat trick, Hladczuk scored again and Clibanoff also went for his third goal of the match with Mazurek assisting. The Hawks took a time out with 4:54 in regulation. Midfielder Kyle Landis registered a goal for La Salle. The Prep’s Alex Scalamandre found the net with 1:42 on the clock and that was the game. The Explorers were then presented with the trophy on the field as they celebrated their championship. Leading the way on defense was his twin brother, goalkeeper Michael Clibanoff. “Defense picked up every ground ball,” his brother said. With this outcome, the Explorers advanced to the District 12 championship round. 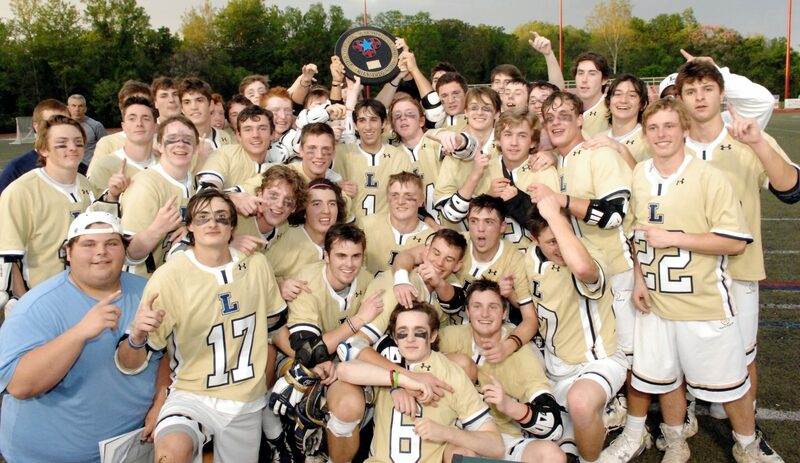 In addition to its Catholic League success, La Salle holds a strong history in the state playoffs, clinching the PIAA title in 2013, 2009, 2008 and 2004. At this point, the team is taking it simply “one day at a time,” said Leahy.